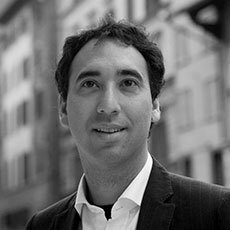 Alberto Abadie is the associate director of the Institute for Data, Systems, and Society and a professor of economics at MIT. He is an econometrician and empirical microeconomist with broad disciplinary interests that span economics, political science, and statistics. His research areas include econometrics, statistics, causal inference, and program evaluation. 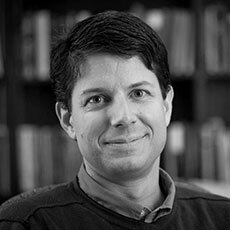 His methodological research focuses on statistical methods to estimate causal effects and, in particular, the effects of public policies, such as labor-market, education, and health-policy interventions. Abadie is associate editor of Econometrica and American Economic Review: Insights. He previously served as editor of the Review of Economics and Statistics and associate editor of the Journal of Business and Economic Statistics. He is a fellow of the Econometric Society. Prior to MIT, Abadie was a professor of public policy and economics at the Kennedy School of Government at Harvard University. He is a current research associate and a former faculty research fellow for the National Bureau of Economic Research. He earned a BS in economics from Universidad del Pais Vasco in Bilbao, Spain, an SM in economics from the Centro de Estudios Monetarios y Financieros in Madrid, Spain, and a PhD in economics from MIT. Hal Abelson is the Class of 1922 Professor of Electrical Engineering and Computer Science at MIT. He is a leader in the worldwide movement toward openness and democratization of culture and intellectual resources and is a founding director of Creative Commons, Public Knowledge, and the Free Software Foundation, as well as a former director of the Center for Democracy and Technology. He co-chaired the MIT Council on Educational Technology, where he played key roles in fostering MIT institutional educational technology initiatives such as OpenCourseWare and DSpace. 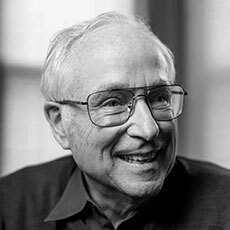 In 1992, Abelson was designated as one of MIT's six inaugural MacVicar Faculty Fellows in recognition of his significant and sustained contributions to teaching and undergraduate education. He also participated in the Google Visiting Faculty program. 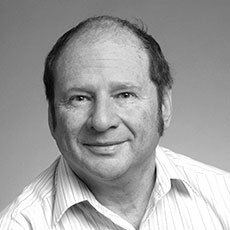 Abelson received the MIT School of Engineering’s Bose Award for Excellence in Teaching, the IEEE Computer Society’s Taylor L. Booth Education Award, the Award for Outstanding Contribution to Computer Science Education, and the Karl Karlstrom Outstanding Educator Award. Abelson is an IEEE Fellow. He earned a BS from Princeton University and a PhD in mathematics from MIT. 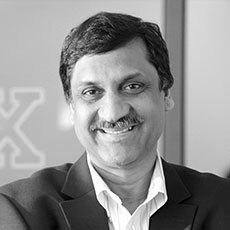 Anant Agarwal is the CEO of edX, the online learning platform founded by MIT and Harvard University in 2012. He is also a professor of electrical engineering and computer science and a past director of the Computer Science and Artificial Intelligence Laboratory. He received the Yidan Prize in 2018, the Harold W. McGraw Jr. Prize in Higher Education in 2016, and he was named to Forbes's list of 15 top education innovators in 2012. He also received the Padma Shri Award from the president of India and the Maurice Wilkes Award for contributions to computer architecture, among other awards. Scientific American selected his work on organic computing as one of 10 World-Changing Ideas in 2011, and he holds the Guinness World Record for the largest microphone array. He is a member of the National Academy of Engineering, a fellow of the Association of Computing Machinery, and the American Academy of Arts and Sciences. A serial entrepreneur, he has cofounded several companies. He earned a BS in electrical and electronics engineering from IIT Madras and a PhD in electrical engineering and computer science from Stanford University. Saman Amarasinghe is the associate head of the Department of Electrical Engineering and Computer Science at MIT. A faculty member since 1997, he currently chairs the department’s Computer Science Graduate Admissions Committee and previously served as education officer. He also leads the Commit Group in the Computer Science and Artificial Intelligence Laboratory. His research interests are in discovering novel approaches to improve the performance of modern computer systems and make them more secure without unduly increasing the complexity faced by the end users, application developers, compiler writers, or computer architects. He was the co-leader of the Raw Architecture project. He received a best paper award at the Object-Oriented Programming, Systems, Languages, and Applications conference and a best student paper award at the IEEE International Conference on Big Data. Amarasinghe founded Determina Inc., a startup based on computer security research pioneered at MIT and later acquired by VMware. He earned a BS in electrical engineering and computer science from Cornell University and an SM and a PhD in electrical engineering from Stanford University. David Autor is the Ford Professor of Economics at MIT. His scholarship explores the labor market impacts of technological change and globalization; earnings inequality; and disability insurance and labor supply. He co-directs the MIT School Effectiveness and Inequality Initiative. 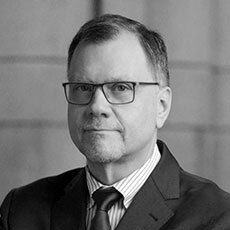 Autor also co-directs the National Bureau of Economic Research Labor Studies Program and is a scientific advisor to the bureau’s Disability Research Center. He spent three years directing computer-skills education for economically disadvantaged people in San Francisco and South Africa. Autor is an elected fellow of the Econometrics Society, the Society of Labor Economists, and the American Academy of Arts and Sciences, and a faculty research associate of MIT’s Abdul Latif Jameel Poverty Action Lab. Honors include a National Science Foundation CAREER Award, an Alfred P. Sloan Foundation Fellowship, the Sherwin Rosen Prize, the MIT MacVicar Faculty Fellowship, the Faculty Appreciation Award from the MIT Technology and Policy Program, and several other teaching awards. Bloomberg named him one of 50 people who defined global business in 2017. Autor earned a BS in psychology from Tufts University and a PhD in public policy from the Kennedy School of Government at Harvard University . 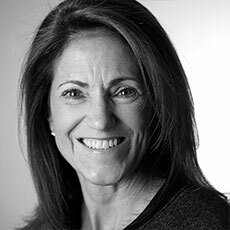 Cynthia Barnhart is the chancellor of MIT and the Ford Foundation Professor of Engineering. As chancellor, Barnhart advises the president on undergraduate and graduate education and residential life policies, and plays a leading role in strategic planning, faculty appointments, resource development, and campus planning. She has expanded student health and wellness programs and launched a multifaceted campaign to address sexual misconduct on campus. Her previous leadership roles were in the School of Engineering, Operations Research Center, and Center for Transportation and Logistics. An INFORMS Fellow and American Academy of Arts and Sciences and National Academy of Engineering member, she has received honorary doctorates from the École Polytechnique Fédérale de Lausanne and the University of Toronto. Barnhart earned an SM and PhD in transportation and operations research from MIT. Solon Barocas is an assistant professor in the Department of Information Science at Cornell University. 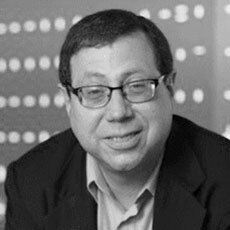 He is also a faculty associate at the Berkman Klein Center for Internet & Society at Harvard University. His current research explores ethical and policy issues in artificial intelligence, particularly fairness in machine learning, methods for bringing accountability to automated decision making, and the privacy implications of inference. He cofounded the annual Fairness, Accountability, and Transparency in Machine Learning workshop and later established the ACM Conference on Fairness, Accountability, and Transparency. Previously, he was a postdoctoral researcher at Microsoft Research, working with the Fairness, Accountability, Transparency, and Ethics in Artificial Intelligence Group, as well as a postdoctoral researcher at the Center for Information Technology Policy at Princeton University. He earned a BA in international relations and modern culture and media from Brown University, an MSc in international relations from the London School of Economics and Political Science, and a PhD in media, culture, and communication from New York University, where he remains a visiting scholar at the Center for Urban Science + Progress and an affiliate of the Information Law Institute. 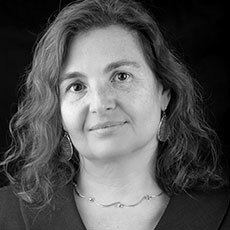 Regina Barzilay is the Delta Electronics Professor of Electrical Engineering and Computer Science at MIT and a principal investigator at the Computer Science and Artificial Intelligence Laboratory. She is also the faculty lead for the Abdul Latif Jameel Clinic for Machine Learning in Health. Barzilay is a recipient of a MacArthur Fellowship, the National Science Foundation CAREER award, the MIT Technology Review TR35 Award, and a Microsoft Faculty Fellowship. She was also elected an Association of Computational Linguistics Fellow and an Association for the Advancement of Artificial Intelligence Fellow. Barzilay earned a BS and MS from Ben-Gurion University of the Negev, Israel. She earned a PhD in computer science from Columbia University and did her postdoctoral work at Cornell University. 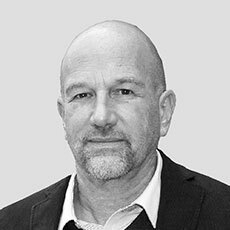 Eran Ben-Joseph is head of the Department of Urban Studies and Planning and a professor of landscape architecture at MIT. 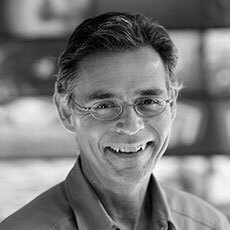 His research and teaching areas include urban and physical design, standards and regulations, sustainable site planning technologies, and urban retrofitting. He is the author of numerous articles, chapters, and books, including Streets and the Shaping of Towns and Cities, Regulating Place, The Code of the City, RENEW Town, and ReThinking a Lot. 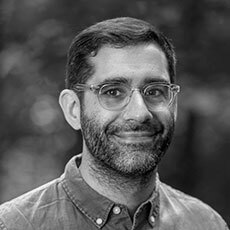 Ben-Joseph has worked as a city planner, landscape architect, and urban designer in Europe, Asia, the Middle East, and the United States on projects including new towns and residential developments, transportation planning, stream restoration, and park designs and recreation planning. He also led national and international multidisciplinary projects in Singapore, Barcelona, Tokyo, and Washington, DC., among other places. Ben-Joseph earned an MS from Chiba National University of Japan and a PhD from the University of California at Berkeley. 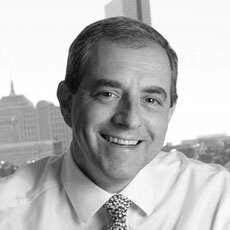 Dimitris J. Bertsimas is the Boeing Leaders for Global Operations Professor at MIT Sloan School of Management. He is also the co-director of the Operations Research Center and the faculty director of the Master of Business Analytics program. His research interests include optimization, machine learning, and personalized medicine. Bertsimas has co-authored five graduate-level textbooks and more than 200 scientific papers. He is also the editor-in-chief of INFORMS Journal on Optimization. Bertsimas has been honored with numerous awards, including the Pierskalla Best Paper Award (2013), the Farkas Prize (2008), the Erlang Prize (1996), and the SIAM Activity Group on Optimization Best Paper Prize (1996). He is also a member of the National Academy of Engineering and an INFORMS Fellow. Bertsimas has cofounded several successful companies in financial services, health care, and analytics. He earned an SM and a PhD in applied mathematics and operations research from MIT. Stephen Boyd is chair of the Department of Electrical Engineering and the Samsung Professor of Engineering at Stanford University, where he has been a faculty member since 1985. He also has courtesy appointments in the Department of Computer Science and the Department of Management Science and Engineering. His current research focus is on convex optimization applications in control, signal processing, machine learning, finance, and circuit design. 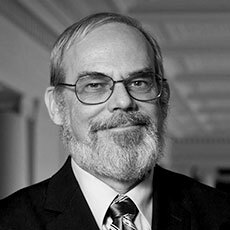 He is a fellow of the Institute for Operations Research and the Management Sciences, the IEEE, and the Society for Industrial and Applied Mathematics, and a member of the US and Chinese National Academies of Engineering. Honors include a Presidential Young Investigator Award, the Donald P. Eckman Award, the John R. Ragazzini Education Award, the IEEE Control Systems Award, and the Mathematical Optimization Society's Beale-Orchard-Hays Award. He also received the Walter J. Gores Award, Stanford’s highest teaching honor, and the IEEE James H. Mulligan Jr. Education Medal. He earned a BS in mathematics from Harvard University and a PhD in electrical engineering and computer science from the University of California at Berkeley. Carla E. Brodley is dean of the Khoury College of Computer and Information Sciences at Northeastern University. Previously, she was a professor in the Department of Computer Science and the Clinical and Translational Science Institute at Tufts University and a faculty member in the School of Electrical Engineering at Purdue University. Brodley’s interdisciplinary machine-learning research led to advances in computer and information science and in remote sensing, neuroscience, digital libraries, astrophysics, content-based image retrieval of medical images, computational biology, chemistry, evidence-based medicine, and predictive medicine. She is a member of the Computing Research Association board of directors and the advisory committee for the Directorate of Computer and Information Science and Engineering. 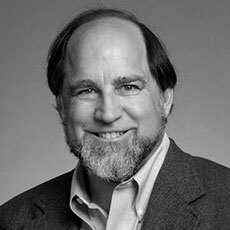 Among other leadership positions, Brodley was a co-chair of the International Conference on Machine Learning and of the Association for the Advancement of Artificial Intelligence, and associate editor of the Journal of AI Research and the Journal of Machine Learning Research. 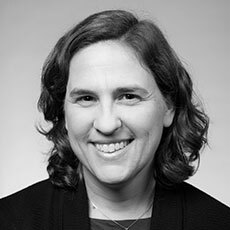 She is a fellow of the Association for the Advancement of Artificial Intelligence and the Association for Computing Machinery. She earned a BA in mathematics and computer science from McGill University and an MS and a PhD in computer science from the University of Massachusetts at Amherst. 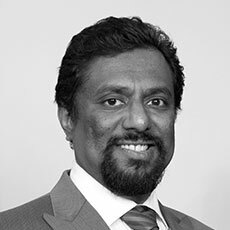 Anantha P. Chandrakasan is the dean of the MIT School of Engineering and the Vannevar Bush Professor of Electrical Engineering and Computer Science. He serves as co-chair of the MIT–IBM Watson AI Lab, the chair of the MIT–SenseTime Alliance on Artificial Intelligence, the chair of the Abdul Latif Jameel Clinic for Machine Learning in Health, and a board member of The Engine. Chandrakasan also leads the MIT Energy-Efficient Circuits and Systems Group. He is a recipient of awards including the 2009 Semiconductor Industry Association University Researcher Award, the 2013 IEEE Donald O. Pederson Award in Solid-State Circuits, and an honorary doctorate from KU Leuven in 2016. An IEEE Fellow, he was elected to the National Academy of Engineering in 2015. Chandrakasan earned a BS, an MS, and a PhD in electrical engineering and computer sciences from the University of California at Berkeley. Michael Scott Cuthbert, an associate professor of music and the director of Digital Humanities at MIT, is a musicologist who has worked extensively on music of the 14th century, computational musicology, minimalism, and other music of the past 40 years. 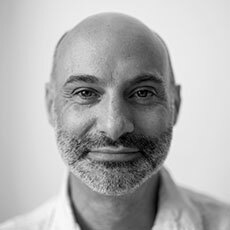 His current work with the Digital Humanities Office and Lab seeks to answer humanities problems through the lens of computer science while engaging undergraduates, graduate students, and faculty across MIT. His journal article, “Tipping the Iceberg: Missing Italian Polyphony from the Age of Schism,” used computer simulations to contradict the unquestioned assumption that most written medieval music has been lost. Cuthbert’s research lab has produced “music21,” an open-source toolkit for computer-aided musical analysis, which has an installed user base in the thousands. Cuthbert's awards include the Rome Prize in Medieval Studies, the Villa I Tatti Fellowship in Italian Renaissance Studies, and a Fellowship in Music at the Radcliffe Institute for Advanced Study at Harvard University. Before coming to MIT, Cuthbert was on the faculties of Smith and Mount Holyoke Colleges. He earned an AB, AM, and PhD from Harvard University. David Danks is the head of the Department of Philosophy and the L.L. Thurstone Professor of Philosophy and Psychology at Carnegie Mellon University (CMU). He is also an adjunct member of the Heinz College of Information Systems and Public Policy at CMU and the Center for the Neural Basis of Cognition, a joint venture of CMU and the University of Pittsburgh. His research interests are at the intersection of philosophy, cognitive science, and machine learning—using ideas, methods, and frameworks from each to advance our understanding of complex interdisciplinary problems. Danks has examined the ethical, psychological, and policy issues around AI and robotics in transportation, health care, privacy, and security. He has also done significant research in computational cognitive science, culminating in his 2014 book, Unifying the Mind: Cognitive Representations as Graphical Models. He received a McDonnell Foundation Scholar Award, an Andrew Carnegie Fellowship, and funding from multiple agencies. He earned an AB in philosophy from Princeton University and a PhD in philosophy from the University of California at San Diego. Erik Demaine is a professor in computer science and electrical engineering at MIT. 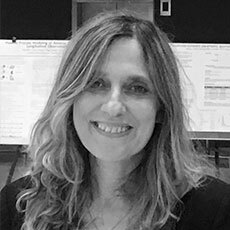 Demaine’s research interests range from algorithms to data structures for improving web searches, to the geometry of understanding how proteins fold, and the computational difficulty of playing games. He received a MacArthur Fellowship for his work in computational geometry. He is also an ACM Fellow and has received a Guggenheim Fellowship, the Presburger Award, an MIT Sloan Research Fellowship, a National Science Foundation CAREER Award, and MIT’s Harold E. Edgerton Faculty Achievement Award, among other honors. He and his father, Martin Demaine, have produced and exhibited numerous curved-crease sculptures that explore the intersection of science and art. Individual pieces are in the permanent collections of the Smithsonian Institution and the Museum of Modern Art, New York. He appears in the origami documentaries Between the Folds and NOVA’s The Origami Revolution. He is the author or co-author of books on folding algorithms and the computational complexity of games. He earned a BS and an SM in mathematics from the University of Waterloo and a PhD in computer science from Dalhousie University. Tony DeRose is an educational consultant. From 1996 to 2018, he was a senior scientist at Pixar, where he led Pixar’s Research Group. Previously, he was a professor of computer science and engineering at the University of Washington. Over the past seven years, he has developed several initiatives to help make math, science, and engineering education more inspiring for middle- and high-school students. One such initiative is Pixar in a Box, which is designed to show students how concepts they learn in class are used to solve creative challenges at Pixar. DeRose received two Scientific and Technical Academy Awards for his work on the mathematics of surfaces, as well as the Computer Graphics Achievement Award. He earned a BS in physics from the University of California at Davis and a PhD in computer science from the University of California at Berkeley. Marie desJardins is the inaugural dean of the College of Organizational, Computational, and Information Sciences and professor of computer science at Simmons University in Boston. Her research is in AI, focusing on the areas of machine learning, multi-agent systems, and decision making. Previously, she was the associate dean for academic affairs for the College of Engineering and Information Technology at the University of Maryland, Baltimore County; earlier, she was a senior computer scientist at SRI International. 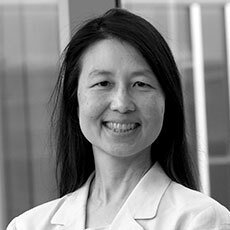 She is a fellow of the Association for the Advancement of Artificial Intelligence and a Distinguished Member of the Association for Computing Machinery. She has received the Distinguished Alumni Award in Computer Science from the University of California at Berkeley, the A. Richard Newton Educator Award from the Anita Borg Institute, and a National Science Foundation CAREER Award, among other honors. She also founded the Maryland Center for Computing Education and frequently serves as a mentor and speaker at computer science education and outreach events. She earned an AB in engineering from Harvard University and a PhD in computer science from the University of California at Berkeley. Alan Edelman is a professor of applied mathematics and a member of the Computer Science and Artificial Intelligence Lab at MIT. His research interests include the Julia language for numerical/scientific computing, machine learning, high-performance computing, numerical computation, linear algebra, and random matrix theory. 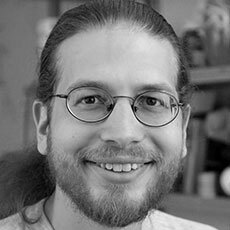 He is passionate about the interactions between classical computer science and computational science, and the bridges that the Julia language has created at MIT and around the world. He is a founder and chief scientist of Interactive Supercomputing and Julia Computing, Inc. He also consulted for Akamai, IBM, Microsoft, Pixar, and NKK Japan, and he served on the faculty of the University of California at Berkeley. Edelman is a fellow of both the IEEE and the Society for Industrial and Applied Mathematics. Other honors include an Sloan Research Fellowship, a National Science Foundation CAREER award, the Gordon Bell Prize, the Householder Prize, the Chauvenet Prize, the Edgerly Science Partnership Award, the Lester R. Ford Award, and the SIAM Activity Group on Linear Algebra Prize. He earned BS and SM in mathematics from Yale and a PhD in mathematics from MIT. Eran Egozy is a professor of the practice in music technology at MIT. An entrepreneur, musician, and technologist, he is the cofounder and chief scientist of Harmonix Music Systems, the music-based video game company that created Guitar Hero, Rock Band, and Dance Central. Egozy was named to the 2008 Time 100 and the 2010 Fortune 40 Under 40. 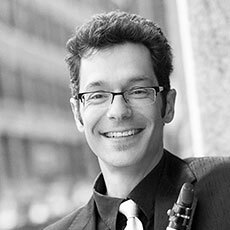 Egozy is an accomplished clarinetist, performing regularly with Radius Ensemble and Emmanuel Music, as well as freelancing in the Boston area. His research and teaching interests include interactive music systems, music information retrieval, and multimodal musical expression and engagement. He earned a BS in electrical engineering and music and an SM in electrical engineering and computer science from MIT. 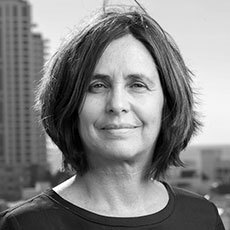 Shafi Goldwasser is the RSA Professor of Electrical Engineering and Computer Science at MIT, the director of the Simons Institute for the Theory of Computing at the University of California at Berkeley, and a professor of computer science and applied mathematics at the Weizmann Institute of Science. Her contributions include the introduction of zero-knowledge interactive proofs, elliptic curve primality test, combinatorial property testing, and pseudo-deterministic algorithms. She was honored with the A.M. Turing Award, the Gödel Prize for her work on interactive proofs and connections to approximation, the ACM Grace Murray Hopper Award, the RSA Conference Award for Mathematics, the ACM Athena Lecturer Award, the Benjamin Franklin Medal, the IEEE Emanuel R. Piore Award, the Simons Investigator award, and the BBVA Foundation Frontiers of Knowledge Award. She earned a BS in applied mathematics from Carnegie Mellon University and an MS and a PhD in computer science from the University of California at Berkeley. W. Eric L. Grimson is the chancellor for academic advancement of MIT, the Bernard M. Gordon Professor of Medical Engineering, and a professor of computer science and engineering. One of the Institute’s senior academic officers, Grimson is a central advisor to President L. Rafael Reif on the shape and strategy of the MIT Campaign for a Better World and serves as his representative to alumni, parents, students, and Institute partners. He is internationally recognized for his research in computer vision, especially in applications in medical image analysis. Grimson is a fellow of the Association for the Advancement of Artificial Intelligence, the Institute for Electrical Engineering and Computer Science, and the Association for Computing Machinery. He earned a BSc in mathematics and physics from the University of Regina in Saskatchewan, Canada, and a PhD in mathematics from MIT. 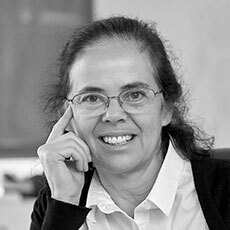 Barbara Grosz is the Higgins Professor of Natural Sciences in the John A. Paulson School of Engineering and Applied Sciences at Harvard University and a member of the external faculty of Santa Fe Institute. She has made groundbreaking contributions to the field of AI through research in natural language processing and theories of multi-agent collaboration and their application to human-computer interaction. 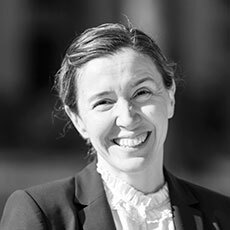 She cofounded Harvard’s Embedded Ethics program, integrating teaching of ethical reasoning into core computer science courses. She served as the dean of Harvard’s Radcliffe Institute for Advanced Study and then was appointed as the Institute’s first dean of science. She is a member of the National Academy of Engineering and the American Philosophical Society, and a fellow of the American Academy of Arts and Sciences, the American Association for the Advancement of Science, the Association for Computing Machinery, and the Association for the Advancement of Artificial Intelligence, and a corresponding fellow of the Royal Society of Edinburgh. She received the ACM-AAAI Allen Newell Award, the IJCAI Award for Research Excellence, and the ACL Lifetime Achievement Award. She earned an AB in mathematics from Cornell University and an MA and a PhD in computer science from the University of California at Berkeley. 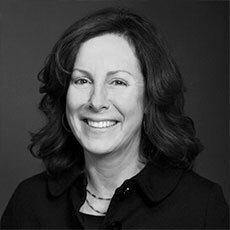 Wendi Heinzelman is the dean of the Edmund A. Hajim School of Engineering and Applied Sciences at the University of Rochester. She is also a professor in the Department of Electrical and Computer Engineering, with a secondary appointment in the Department of Computer Science. Her research interests span diverse areas, from wireless communications and networking to mobile-cloud computing and multimedia communication. She contributed to 12 textbooks and is published in more than 50 journals and more than 100 conference and workshop proceedings, with more than 45,000 citations to her work. Heinzelman is a fellow of both the IEEE and the Association for Computing Machinery. She is a member of N2Women, a community of researchers in the fields of networking and communications, and the Society of Women Engineers. She earned a BS in electrical engineering from Cornell University and an MS and a PhD in electrical engineering and computer science from MIT. Charles Isbell is the executive associate dean of the College of Computing at the Georgia Institute of Technology. Previously, he was a principal research scientist at AT&T Labs. Isbell’s research focuses on using machine learning to build autonomous agents that engage directly with humans. His work has been featured in the popular press, in Congressional testimony, and in technical collections. In addition, he has pursued reform in computing education. He was a chief architect of Threads, Georgia Tech’s structuring principle for computing curricula and an architect for a first-of-a-kind computer science master’s degree supported by massively open online courses (MOOCs). 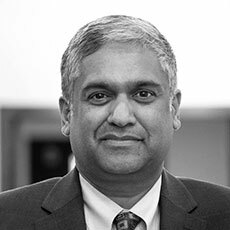 He focuses on issues of broadening participation in computing and is the founding executive director for the Constellations Center for Equity in Computing at Georgia Tech. He is a fellow of the Association for the Advancement of Artificial Intelligence and the Association for Computing Machinery. He earned a BS from Georgia Tech and an SM and PhD from MIT. 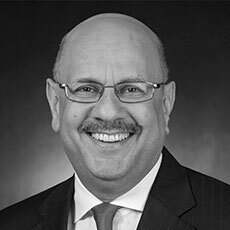 Farnam Jahanian is the 10th president of Carnegie Mellon University, where he holds the Henry L. Hillman President's Chair. He had served as Carnegie Mellon's provost and chief academic officer as well as vice president for research. Previously, Jahanian led the National Science Foundation Directorate for Computer and Information Science and Engineering. He was also the Edward S. Davidson Collegiate Professor at the University of Michigan, where he served as chair for Computer Science and Engineering and director of the Software Systems Laboratory. He serves as the chair of the National Research Council’s Computer Science and Telecommunications Board and is a board member of the National Center for Women and Information Technology and the Advanced Robotics for Manufacturing Institute, among others. Jahanian is a fellow of the Association for Computing Machinery, the American Association for the Advancement of Science, and the IEEE. He earned a PhD in computer science from the University of Texas at Austin. 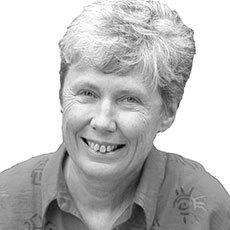 Maria Klawe began her tenure as the fifth president of Harvey Mudd College in 2006. A renowned computer scientist and scholar, she is the first woman to lead the school. Previously, she served as the dean of engineering and a professor of computer science at Princeton University. Klawe joined Princeton from the University of British Columbia, where she served in various roles from 1988 to 2002. Earlier, Klawe spent eight years with IBM Research in California and two years at the University of Toronto. She is a board member of the Alliance for Southern California Innovation and the nonprofit Math for America, the chair of the board of the nonprofit EdReports.org, and a trustee for the Mathematical Sciences Research Institute. A fellow of the American Academy of Arts and Sciences, she was ranked 17th on Fortune’s 2014 list of the World’s 50 Greatest Leaders. She received the Women of Vision ABIE Award for Leadership and the Carnegie Corporation of New York’s Academic Leadership Award. She earned a BS and PhD, both in mathematics, from the University of Alberta. 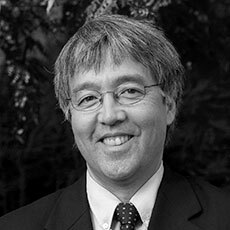 Jim Kurose is an assistant director of the National Science Foundation, where he leads the Directorate for Computer and Information Science and Engineering. With an annual budget of nearly $1 billion, its mission is to uphold the nation's leadership in scientific discovery and engineering innovation through its support of fundamental research in computer and information science and engineering, transformative advances in cyberinfrastructure, and preparation of a diverse computing- and computationally capable workforce. Kurose is on leave from the University of Massachusetts at Amherst, where he is the Distinguished University Professor of Computer Science. He is a fellow of both the Association for Computing Machinery and the IEEE. Research and education honors include the SIGCOMM Award for lifetime achievement, IEEE INFOCOM Achievement Award, and the Taylor L. Booth Education Award, given for an outstanding record in computer science and engineering education. He earned a BA in physics from Wesleyan University and a PhD in computer science from Columbia University. Butler Lampson is a technical fellow at Microsoft and an adjunct professor of electrical engineering and computer science at MIT. He works on computer architecture, local area networks, raster printers, page description languages, operating systems, remote procedure call, programming languages and their semantics, programming in large, fault-tolerant computing, transaction processing, computer security, WYSIWYG editors, and tablet computers. He was among the designers of the SDS 940 time-sharing system, the Alto personal distributed-computing system, the Xerox 9700 laser printer, two-phase commit protocols, the Autonet LAN, the SPKI system for network security, the Microsoft Tablet PC software, the Microsoft Palladium high-assurance stack, and several programming languages. He was honored with the A.M. Turing Award, the ACM Software Systems Award, the Computer Pioneer Award, the IEEE John von Neumann Medal, and the Charles Stark Draper Prize for Engineering. He is a member of the National Academies of Sciences and Engineering and a Foreign Member of the Royal Society. He earned an AB in physics from Harvard University and a PhD in electrical engineering and computer science from the University of California at Berkeley. Barbara Liskov is an Institute Professor at MIT. A professor of electrical engineering and computer science, she also leads the Programming Methodology Group at the Computer Science and Artificial Intelligence Laboratory. She is a member of the National Academy of Engineering, the National Academy of Sciences, and the National Inventors Hall of Fame. 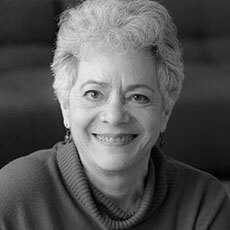 She is a fellow of both the American Academy of Arts and Sciences and the Association for Computing Machinery, and a Charter Fellow of the National Academy of Inventors. She received the A.M. Turing Award, the IEEE John von Neumann Medal, the ACM SIGPLAN Programming Languages Achievement Award, and a lifetime achievement award from the Society of Women Engineers. In 2003, Discover magazine named her one of the 50 most important women in science. She earned a BA in mathematics from the University of California at Berkeley and an MS and a PhD in computer science from Stanford University. She was one of the first women in the United States to earn a doctorate in computer science. 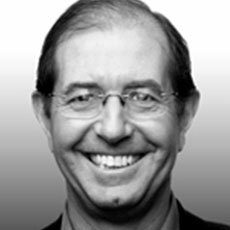 Silvio Micali is the Ford Professor of Engineering and a former associate head of the Department of Electrical Engineering and Computer Science at MIT. His interests focus on information security, such as interactive and computationally sound proofs, zero knowledge proofs, secure protocols, and mechanism design. He is a recipient of the A.M. Turing Award, the Gödel Prize, the RSA Conference Award for Excellence in Mathematics, and the BBVA Foundation Frontiers of Knowledge Award, among other honors. He is a member of the American Academy of Arts and Sciences, the National Academy of Engineering, and the National Academy of Sciences. He earned an BS in mathematics from Sapienza University in Rome and a PhD in mathematics from the University of California at Berkeley. Asu Ozdaglar is the head of the Department of Electrical Engineering and Computer Science and the School of Engineering Distinguished Professor of Engineering at MIT. Previously, she was the director of the Laboratory for Information Decision Systems and the associate director of the Institute for Data, Systems, and Society. Ozdaglar is known for fundamental contributions to optimization theory and algorithms, economic and social networked systems, and game theory. She is a past recipient of a Microsoft Research PhD Fellowship, a National Science Foundation CAREER Award, the Donald P. Eckman Award from the American Automatic Control Council, the Ruth and Joel Spira Award for Excellence in Teaching, and the MIT Graduate Student Council Teaching Award. Ozdaglar earned a bachelor’s degree in electrical engineering from the Middle East Technical University in Ankara, Turkey, and an SM and a PhD in electrical engineering and computer science from MIT. Agustín Rayo is associate dean of the MIT School of Humanities, Arts, and Social Sciences and a professor of philosophy. His research lies at the intersection of the philosophies of logic and language, which he has explored in his book, The Construction of Logical Space, and in many papers, including the award-winning “Vague Representation,” published in the journal Mind. He is also a professorial fellow at the University of Oslo in Norway and was a Burkhardt Fellow at the Radcliffe Institute for Advanced Study at Harvard University. 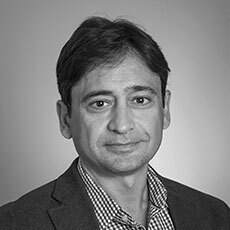 Rayo joined the MIT faculty in 2005 after serving as an assistant professor of philosophy at the University of California at San Diego and as an Arché Research Fellow at the University of St. Andrews in the UK. He earned a PhD in philosophy from MIT. Ron Rivest is an Institute Professor at MIT, where he is a faculty member in the Department of Electrical Engineering and Computer Science. He leads the Cryptology and Information Security Group at the Computer Science and Artificial Intelligence Laboratory. His research interests are in cryptography, computer and network security, voting systems, and algorithms; he has also worked extensively in machine learning. Rivest is an inventor of the RSA public-key cryptosystem. He has extensive experience in cryptographic design and cryptanalysis and has published numerous papers in these areas. Rivest served as a director of the International Association for Cryptologic Research, the organizing body for the Eurocrypt and Crypto conferences, and as a director of the Financial Cryptography Association. He is a founder of RSA Data Security, which was purchased by Security Dynamics and renamed RSA Security, later acquired by EMC. He is the cofounder of Verisign and Peppercoin and a member of the CalTech/MIT Voting Technology Project. He is a fellow of the American Academy of Arts and Sciences and the Association for Computing Machinery. He is also a member of the National Academy of Engineering. Rivest earned a BA in mathematics from Yale University and a PhD in computer science from Stanford University. Daniela Rus is the director of the Computer Science and Artificial Intelligence Laboratory and the Andrew and Erna Viterbi Professor of Electrical Engineering and Computer Science at MIT. Rus's research interests are in robotics and artificial intelligence. Her focus is on developing the science and engineering of autonomy. 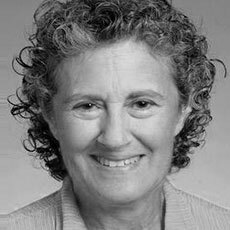 She received a MacArthur Fellowship in 2002, and she is a fellow of the Association for Computing Machinery, the Association for the Advancement of Artificial Intelligence, and the Institute of Electrical and Electronics Engineers. She is a member of the National Academy of Engineering and of the American Academy of Arts and Sciences and the recipient of the Engelberger Robotics Award. She earned a PhD in computer science from Cornell University. Rob A. Rutenbar serves as the senior vice chancellor for research at the University of Pittsburgh, where he also holds faculty appointments in computer science and engineering. He oversees both the operational and strategic aspects of Pitt’s research enterprise. 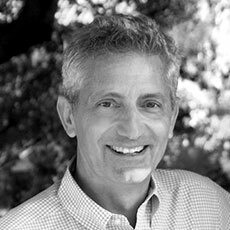 Previously, he spent 25 years on the engineering faculty at Carnegie Mellon University, and then served on the faculty at the University of Illinois at Urbana-Champaign (UIUC) as the head of the Department of Computer Science. In 2014, he started the notable UIUC campus-wide CS+X program, which consists of a portfolio of novel bachelor’s degrees, architected as half computer science and half “X,” delivered as a degree in the “X” department. Today, UIUC offers a dozen CS+X degrees across the sciences, arts, humanities, and professional schools. Rutenbar’s work has been featured in venues ranging from EETimes to the Economist. He is a fellow of the Association for Computing Machinery and the Institute of Electrical and Electronics Engineers. He received a BS in electrical engineering from Wayne State University and an MSE and a PhD in computer information and control engineering from the University of Michigan. 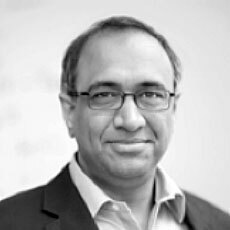 Sanjay Sarma is the vice president for open learning at MIT, which includes the Office of Digital Learning, the MIT Integrated Learning Initiative, and the Abdul Latif Jameel World Education Lab. He is responsible for assessing how new models of online instruction might become integral parts of on-campus education and shaping a coherent vision that blends the best of residential education with the best of online learning. Sarma is also the Fred Fort Flowers and Daniel Fort Flowers Professor of Mechanical Engineering. He serves on the boards of several companies, including edX, an open-source platform for the distribution of free online education worldwide founded by MIT and Harvard University. He has authored many academic papers and is the recipient of numerous awards. Sarma earned a BS from the Indian Institute of Technology, an SM from Carnegie Mellon University, and a PhD from the University of California at Berkeley. Martin A. Schmidt is the provost of MIT and the Ray and Maria Stata Professor of Electrical Engineering and Computer Science. 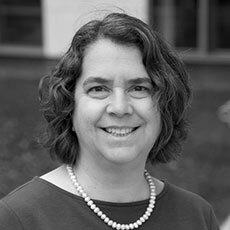 As provost, Schmidt is MIT’s senior academic and budget officer, with overall responsibility for the Institute’s educational programs. He is also the senior administrative officer responsible for MIT’s industrial interactions. Prior to being named provost, Schmidt played key roles in the allocation of physical space on campus; in co-leading the Institute-Wide Planning Task Force, which shaped MIT’s response to the global financial crisis; and in developing MIT’s plans for the future of Kendall Square. 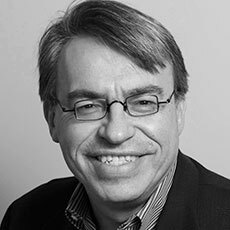 A member of the MIT faculty since 1988, Schmidt’s teaching and research is in the areas of micro/nanofabrication of sensors, actuators, and electronic devices, microelectromechanical systems, design of micromechanical sensors and actuators, and micro/nanofabrication technology. He earned a BS from Rensselaer Polytechnic Institute and an SM and PhD from MIT. 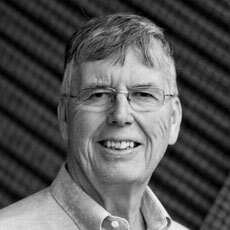 Michael Stonebraker is the CTO of Paradigm4 and Tamr Inc. and an adjunct professor of computer science and engineering at MIT. He is also a principal investigator at the Computer Science and Artificial Intelligence Laboratory. Stonebraker is a pioneer of database research and technology. He was the main architect of the INGRES relational database management system and the object-relational DBMS, POSTGRES. These prototypes were developed at the University of California at Berkeley, where Stonebraker was a professor of computer science for 25 years. At MIT, he was a co-architect of the Aurora/Borealis stream-processing engine, the C-Store column-oriented DBMS, the H-Store transaction-processing engine, the SciDB array DBMS, and the Data Tamer data-curation system. He received the A.M. Turing Award, the IEEE John von Neumann Medal, the ACM System Software Award, and the ACM SIGMOD Edgar F. Codd Innovations Award. He is a member of the National Academy of Engineering. Stonebraker earned a BS in electrical engineering from Princeton University and a PhD in computer information and control engineering from the University of Michigan. Éva Tardos is the Jacob Gould Schurman Professor of Computer Science at Cornell University, where she was the chair of the Department of Computer Science from 2006 to 2010. Her research interests focus on algorithms and algorithmic game theory. She is most known for her work on network-flow algorithms and quantifying the efficiency of selfish routing. Tardos is editor in chief of the Journal of the Association for Computing Machinery. She also served as editor in chief for the Society for Industrial and Applied Mathematics Journal of Computing and editor of Combinatorica, among several other journals. She is a member of the National Academy of Engineering, the National Academy of Sciences, and the American Academy of Arts and Sciences, and she is an external member of the Hungarian Academy of Sciences. Other awards and honors include the Packard Fellowship, the Gödel Prize, the Dantzig Prize, the Fulkerson Prize, the European Association for Theoretical Computer Science Award, and the IEEE John von Neumann Medal. She earned a BA and a PhD from Eötvös Loránd University in Budapest, Hungary. Jeannette M. Wing is the Avanessians Director of the Data Science Institute and a professor of computer science at Columbia University. She is also an adjunct professor of computer science at Carnegie Mellon University, where she has been on the faculty since 1985 and twice served as the head of the Department of Computer Science. Her general research interests are in trustworthy artificial intelligence, security and privacy, specification and verification, concurrent and distributed systems, programming languages, and software engineering. From 2013 to 2017, she was a corporate vice president at Microsoft Research. From 2007 to 2010, she was the assistant director of the National Science Foundation’s Directorate for Computer and Information Science and Engineering. She has received Distinguished Service Awards from the Association for Computing Machinery and the Computing Research Association. She is a fellow of the Association for Computing Machinery, the American Academy of Arts and Sciences, the American Association for the Advancement of Science, and the Institute of Electrical and Electronics Engineers. She earned a BS in computer science and engineering and an SM and PhD in electrical engineering and computer science, all from MIT.